Connections of Declarationofheart will aim high after the colt returned to racing in impressive fashion in a midweek race at Sandown. Trained by Anthony Freedman, Declarationofheart was having his second start in Wednesday’s Ladbrokes Protest Payout Handicap and first since winning a maiden at Geelong in January. After settling in the middle of the pack under jockey Mark Zahra, Declarationofheart ($4.60) got a split at the 300m before charging to the line to beat Clarice Cliffs by three quarters of a length. The performance confirmed plans to head on a path to the Group One Caulfield Guineas (1600m) for three-year-olds in October. “We’ll set the bar pretty high and lower it if we need to,” Freedman’s son and assistant trainer, Sam Freedman, said. “That (Guineas) is the initial aim and it still might be a bit short of his best trip. Freedman said Declarationofheart had knee issues after his debut and said the colt’s owners had been patient. “He’s just had a bit of tidying up there and now he’s sound and a happy horse,” he said. Zahra, who brought up a winning double after scoring on The Passage, had ridden Declarationofheart in his debut and a recent barrier trial win at Cranbourne and felt the colt would improve on whatever he did on Wednesday. “His trial was OK but he switched on today,” Zahra said. 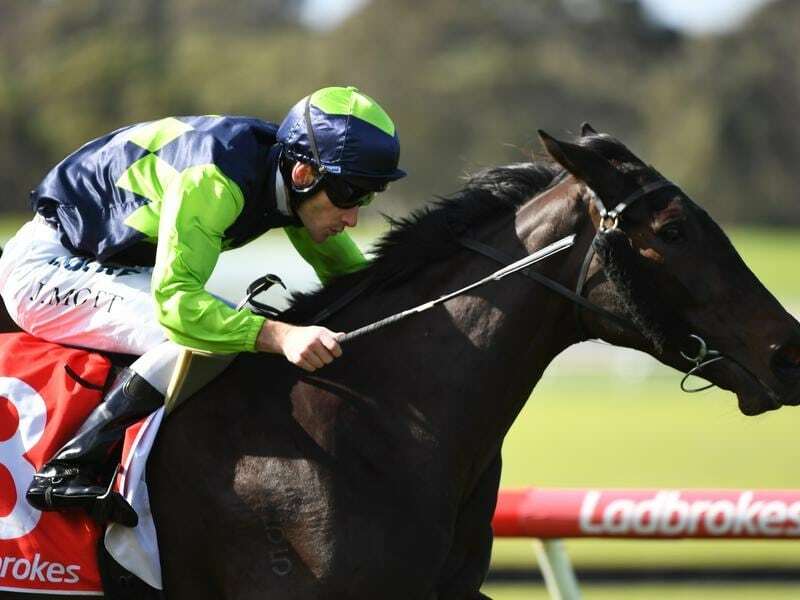 While the Freedman stable has a Group One Guineas ambition for Declarationofheart, trainer John McArdle is looking at the Listed Morphettville Guineas (1600m) in Adelaide next month for Chevalier D’eon. Chevalier D’eon came from midfield in Wednesday’s Le Pine Funerals Handicap (1300m) for fillies to beat Mirette by three quarters of a length with Cavalini a long head away third.